Product #16342 | SKU ECMMS2 | 0.0 (no ratings yet) Thanks for your rating! The compact 137 mm length of the microphone prevents inadvertent vignetting of the microphone when it is attached to a handheld professional camcorder such as the PMW-100. 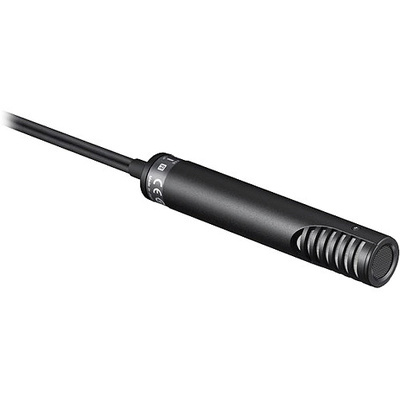 Additionally, this short length is convenient when packing and transporting the microphone with a compact camcorder.